White chocolate has a bad rep among some chocolate affionados who prefer the bitterness and prestige of dark chocolate. But is white chocolate getting a bad rap for all the wrong reasons? We think so. Yes, white chocolate is very sweet and doesn’t offer deep notes of tannic bitterness, berries and burnt wood. Yet white chocolate is incredibly versatile and useful in the sweet and savoury kitchen. The lack of cocoa solids makes white chocolate smoother and creamier than it’s brown big brother. 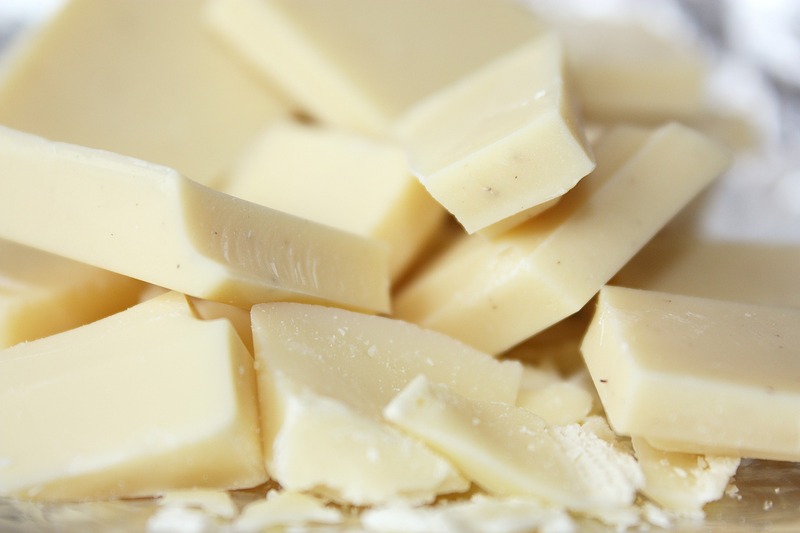 Good white chocolate has clean taste of fresh milk with subtle floral notes and echoes of cocoa. The subtle aromas and smooth texture makes it a beautiful base for more expressive flavours such as herbs, berries, ginger – even olives and caviar. A lot of chefs caramelize white chocolate into a lightly brown substance that resembles butterscotch or dulce de leche – full of sweet, nutty flavours. You’ve probably seen it in restaurants – crumbled over berry-laden desserts, baked with rhubarbs or churned into ice cream. It took us five years but we finally got around to making our own white chocolate – and it’s pretty darn tasty. Interested in Oialla White? Send an email to Svend Dauerhøj for more information.